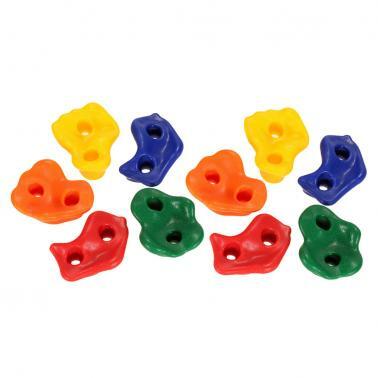 10pcs assorted rock climbing holds with 5 colors are designed to add on to a climbing wall or playset. 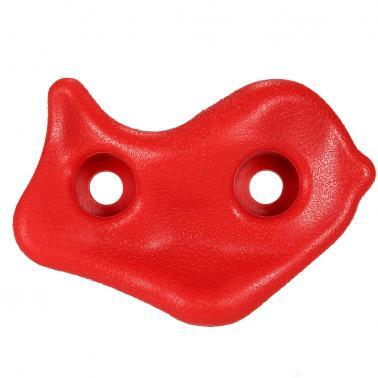 These holds can help improve agility, strength, flexibility, body balance and coordination, great toy and gift for your kids. 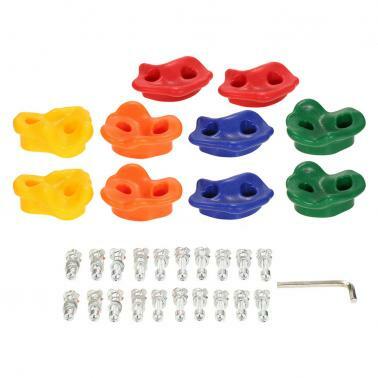 10pcs assorted rock climbing holds with 5 colors designed to add on to a climbing wall or playset. Durable plastic construction offers excellent shoe and hand grip and works well both in outdoor and indoor environments. 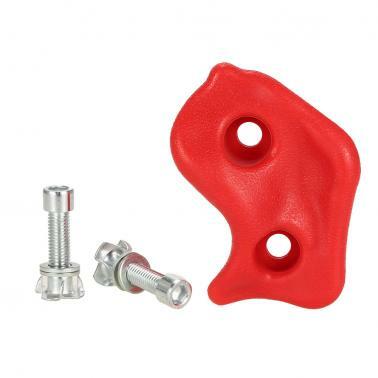 Each hold has 2 holes for the metal mounting screws (included) to create a strong attachment to the rock climbing wall. Maximum weight limit: 80kg, suitable for children aged 3+ years old under adult supervision.